Now get free customized stickers with your name and the Indian Flag that you can flaunt on your brand new bicycle!. Click to Know More. Interested To Buy? Get In Touch With Our Experts. This bicycle will be delivered in a Fully-Fitted, Ready to Ride condition. This product is covered by the Warranty Terms of the brand. 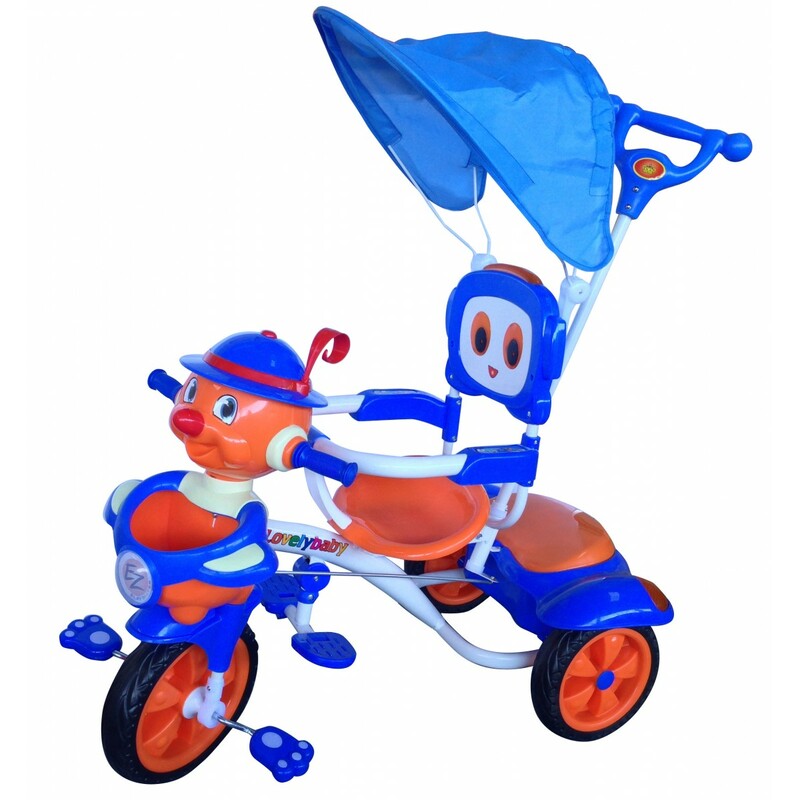 These offers are free with the purchase of the EZ Playmates Joker Face Tricycle (2016) Bicycle. EZ Playmates is a Bicycle manufacturer specializing in kids bicycles. Their range includes kids bicycles of various designs and colours. The EZ Playmates Joker Face (2016) comes with a front and rear storage, broad seat and a protective hood. 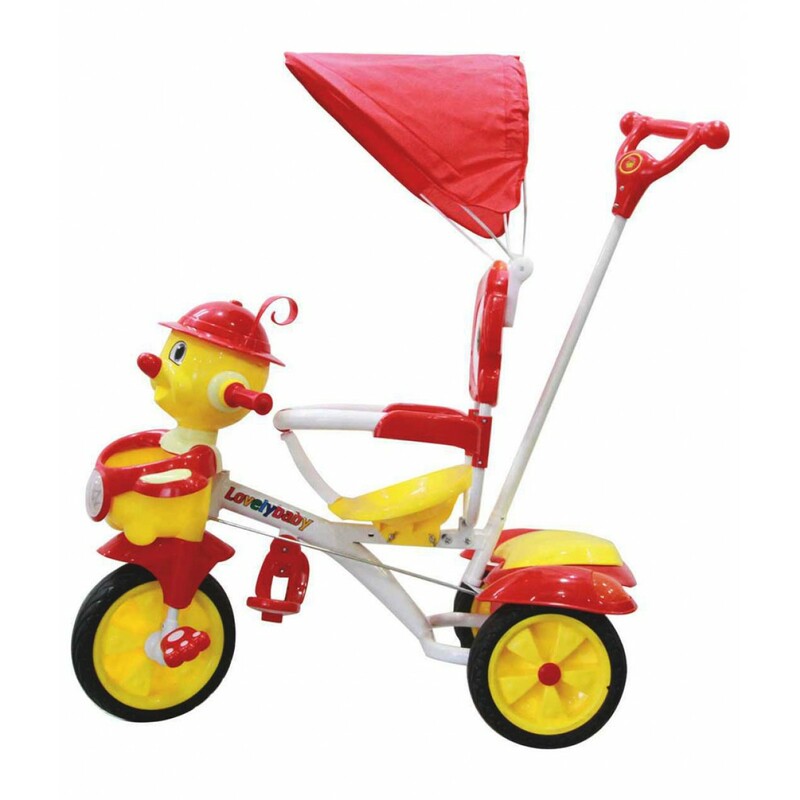 The Price of the EZ Playmates Joker Face Tricycle (2016) is Rs.3750. The Joker Face (2016) is best suited for any kid aged 0 to 3 years. This bicycle is ideal for riding inside the house and around the house compound. 2. In what condition will I get the EZ Playmates Joker Face Tricycle (2016)? All bicycles we sell come with a standard warranty on the frame, provided directly by the brand. Contact us through our chat support on our website to know more warranty related details for specific products. Incase of any warranty claims pertaining to your product, contact us on support@choosemybicycle.com, and ChooseMyBicycle will follow the due process to help you claim your warranty through the respective brand. 6. How will I know if EZ Playmates Joker Face Tricycle (2016) will fit me without riding it? 7. How long will it take for me to receive the EZ Playmates Joker Face Tricycle (2016)? 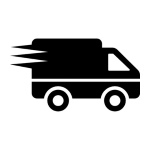 If in the unfortunate circumstance that the product you receive is damaged, contact us at support@choosemybicycle.comand will try and address this issue through our technicians, or assure returns/replacement of defective parts in case of manufacturing defects after checking necessary proof of the damage/defect. 10. Is choosemybicycle.com authorized by the brand to sell online? ChooseMyBicycle.com is a brand certified online reseller.